Since 1988, Chopard has been a key partner to this legendary competition and their ties with the race are notably expressed through every watch in the Mille Miglia collection. Equipped with a very generous 44 mm case in either stainless steel or stainless steel and 18K rose gold, the new Chopard Mille Miglia 2019 Race Edition features a fully snailed grey ruthenium dial with a varnished black and grey inner bezel ring with white transfers. 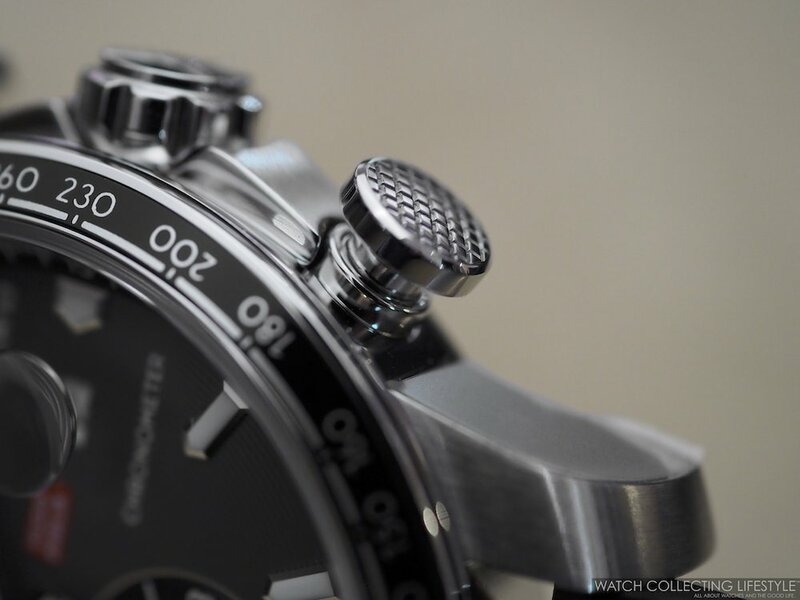 Meanwhile, the 30-minute and 12-hour chrono registers —located at 12 and 6 o’clock respectively— are black with the running seconds at 9 o’clock in the same color as the dial. 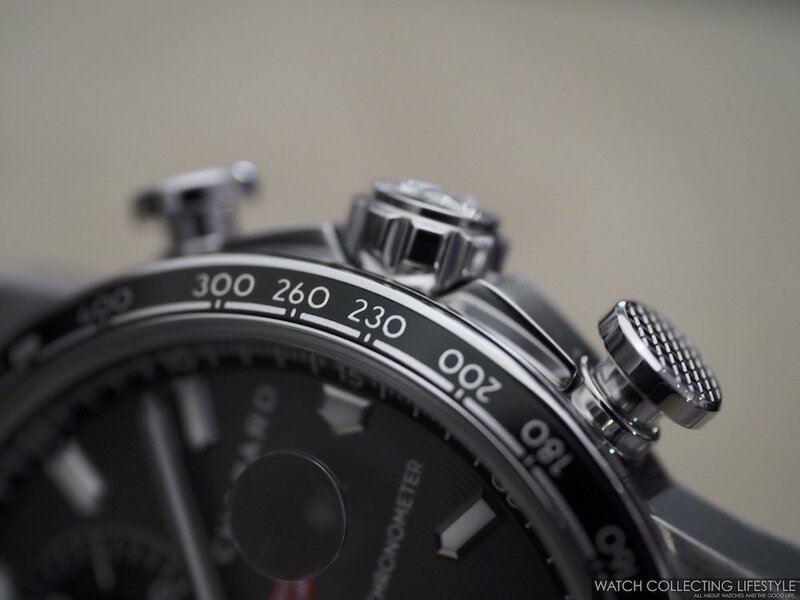 All chronograph hands including the central chrono seconds hand feature a red tip for enhanced readability. And for the very first time, the date aperture is positioned beneath a domed crystal with a loupe to guarantee proper readability. 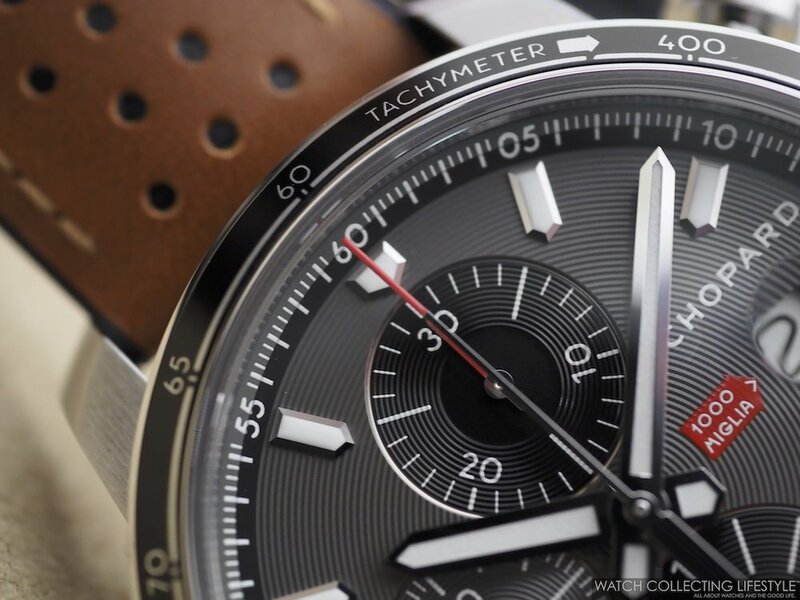 In both options, the Mille Miglia 2019 Race Edition watch is first and foremost a watch designed for racing, therefore, the black aluminum tachymetric scale fixed bezel, the case back engraved with the Mille Miglia logo on a black PVD-treated checkerboard pattern, the knurled chrono pushers and the cognac-colored calf leather strap, convey exactly that. 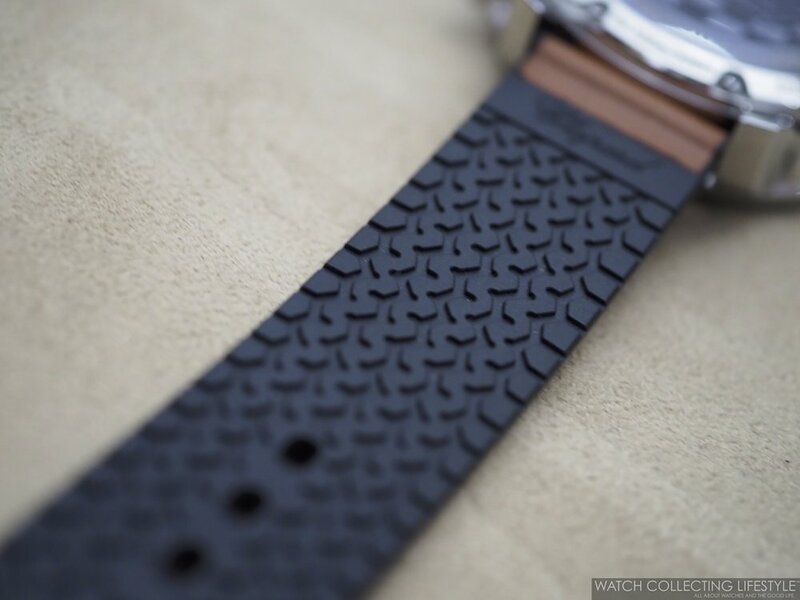 The strap is perforated resembling the perforations on driving gloves and is lined with the black rubber inspired by the 1960s Dunlop racing tires. The new Chopard Mille Miglia 2019 Race Edition is powered by Chopard 25-jewel COSC movement that provides a power reserve of 48 hours while beating at a frequency of 28,800 vph. The frequency of the movement ensures eighth-of-a-second measurement of short times. Protecting the movement and ensuring a water resistance of 100 meters, the Mille Miglia 2019 Race Edition is fitted with a screwed-on case back engraved with the Mille Miglia logo on a black PVD-treated checkerboard pattern and the route of the race ‘Brescia-Rome-Brescia’. On the wrist, the Chopard Mille Miglia 2019 Race Edition wears exactly as its actual size and very nicely with somewhat of a vintage inspired feel to it. A great looking watch with a very convenient 12-hour chronograph with date function in the non-in-house department. But for the price, not bad at all. Sticker Price $7,390 USD for stainless steel and $10,900 USD for two-tone. For more info on Chopard click here.